As tricky as some surfaces are to paint on (dirt, posters, height & cracking plaster etc) painting a 25ft high sloped canvas surface that rocks from side to side and add around 100 people every 5 minutes walking by asking questions has got to the hardest. 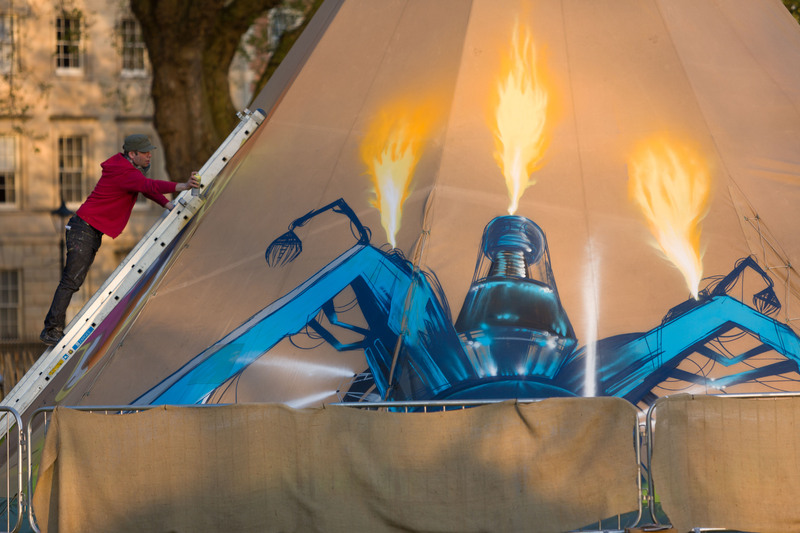 The yearly Eat Drink Bristol Fashion pops up on the beautiful Queen Sq (one of my favorite places in Bristol) in the form of a dozen or so linked Tipis that serve amazing gastro food courtesy of local celeb chef Josh Egerton. 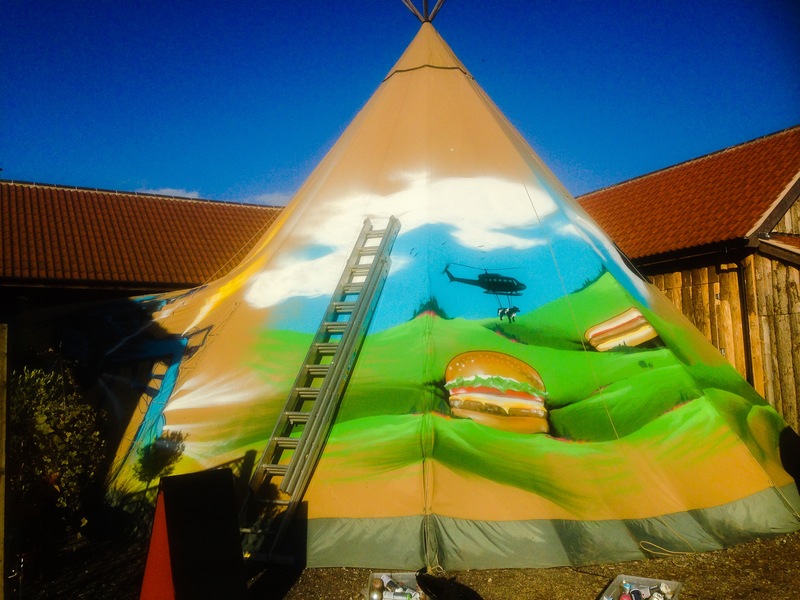 I was approached to paint one of them with various themes around food and the eye popping Glastonbury Arcadia Stage. It turns out these things go on tour and support the Arcadia show in the form of a travelling restaurant.